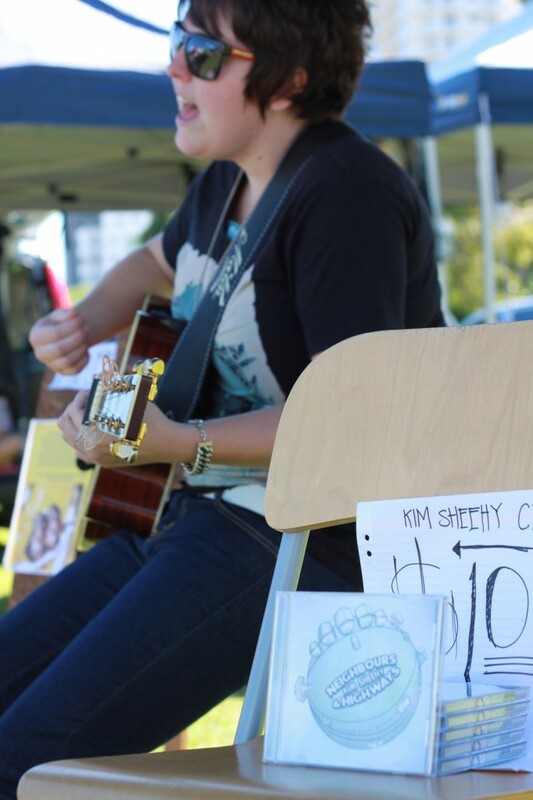 Keeping the crowds entertained at the May TVM were GCMIA artists Kim Sheehy, Stephanie Pickett, Ellie Hopley and Steph&Looly. Vote for your fave stall in our Best Looking Stall Competition simply by 'liking' its photo. Entries close 7pm May 9th, 2011 and the lucky winning stall wins their next TVM free. This Sunday we're excited to feature four Gold Coast performers, as part of a new partnership with GCMIA. From 9am you can check out the below musicians live at TVM. Perfect for the cooler months we're excited to introduce you to Love Bird by Cute Critters, all handcrafted by Angela Steeden. Featuring shawls, scarves and berets the collection will be on show at TVM for the first time this Sunday. No Comments on Guess who? Amber from Casuarina sports One Teaspoon shorts, Supre singlet, biker boots and a cape. The lovely Kimberly from hello friend. 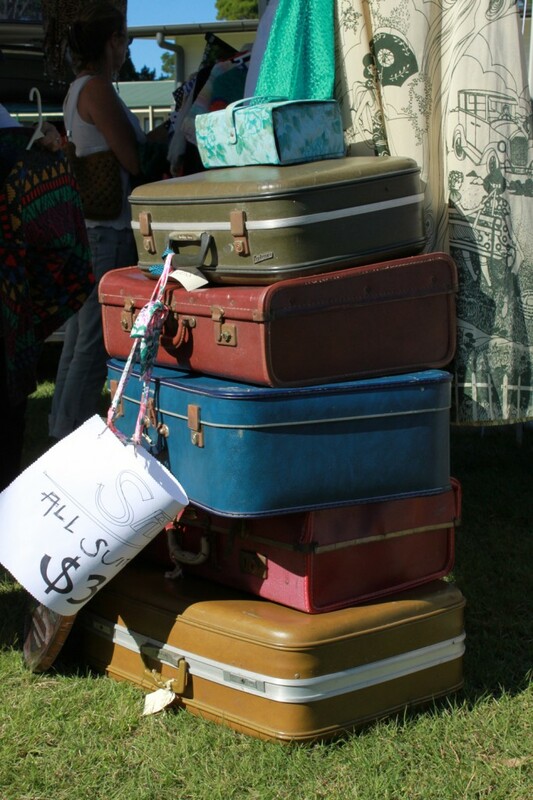 had a little stall at the April TVM selling loads of cool vintage wares. Check out her store at Burleigh for more vintage and designer goodness. Cute couple Taylor & Jarron from Kingscliff took a Sunday drive up the coast to TVM. We think Taylor is a spitting image of Rumi Neely from fashiontoast, don’t you??? Cute couple Taylor & Jarron from Kingscliff took a Sunday drive up the coast to TVM. We think Taylor is a spitting image of Rumi Neely from fashiontoast, don't you??? Monique from Main Beach and Korrine from Currumbin. Jasmine from Southport looked pretty as a peach in a pair of pastel vintage trousers paired with a Mink Pink top and Top Shop bag. Check out Jasmine's ultra cute (and vego blog!) - Fizzle Out. Jack & Julia from Miami and Johnny from Broadbeach looked like a little rock band as they strolled TVM this month. We love their style! Breeony from Mermaid Waters looked super stylish in her cute blouse with Peter Pan collar, One Teaspoon shorts, vintage shoes, Chanel quilted bag and rouge lips. Vanessa from Robina sporting a Dotti lace top and Big W tights.